What I like when I have friends over is cooking with them. I am not the stylist kind that thought of the design of the table (although I’d love to do that better sometimes), I am not the one that surprises her guests with old aged really hard to find wines or the one that is doing molecular cooking to impress her guests. I know there are different types of hostesses around. There are some that are doing everything in advance and just serves food when people arrive, there are the ones who aren’t ready but keep saying : “Oh yeah, I’m fine, enjoy your drink “ while guests are wondering what to do and there are some that are involving their guests into what they are about to eat. That last kind is the one I prefer. People are often telling me : “Oh you cook so much, I could never do that at home!” That’s usually when I understand the challenge that is given to me. For me, everything is a matter of practice and habits. I love having people over, cooking meals that I love that can require creativity from everybody. Actually, that’s what I did the last time a couple of friends of mine visited me. On a regular Saturday morning, I ended up watching a cooking show by Heston Blumental that was obsessed with reproducing the pizza taste found in Italy with authentic margherita Italian pizza cooked at home. Dough, sauce made from scratch, tomatoes, spinach, and mozzarella. 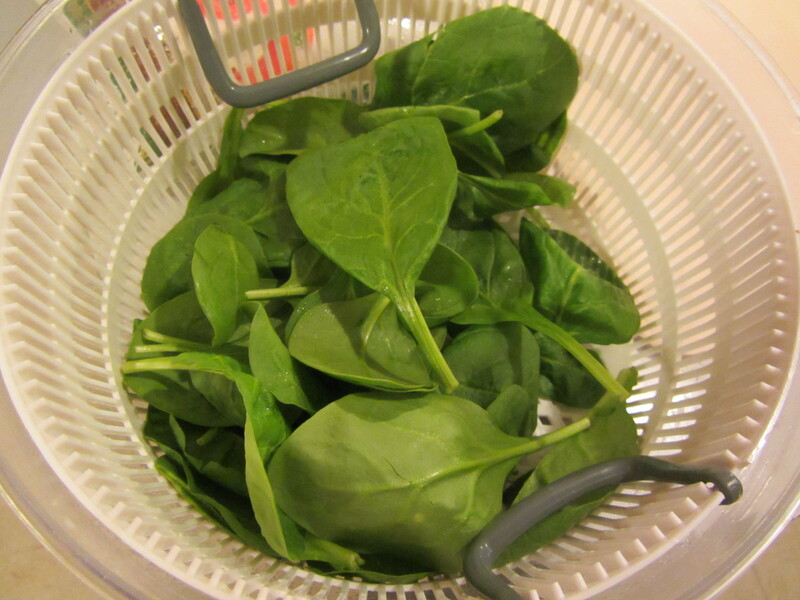 Fresh ingredients, a quest for perfection and a desire to reproduce the taste in your own home. Sometimes, I think he’s doing things that are really complicated but that recipe was doable at home. Yup, I was influenced by television and I bought what it required to make good pizza at home. I used for the first time something I thought was a gadget, a thingy but it’s really cheap and really great : a pizza stone to cook your pizza. At first, I was hearing people talking about it and I thought that I really succeeded cooking a frozen or homemade pizza before without it so why use it now? Well, what our friend Heston told us, is that Italians cook their pizza at really high temperature really quickcly in wood oven. That’s what gives the tenderness yet crisp of the pizza crust. 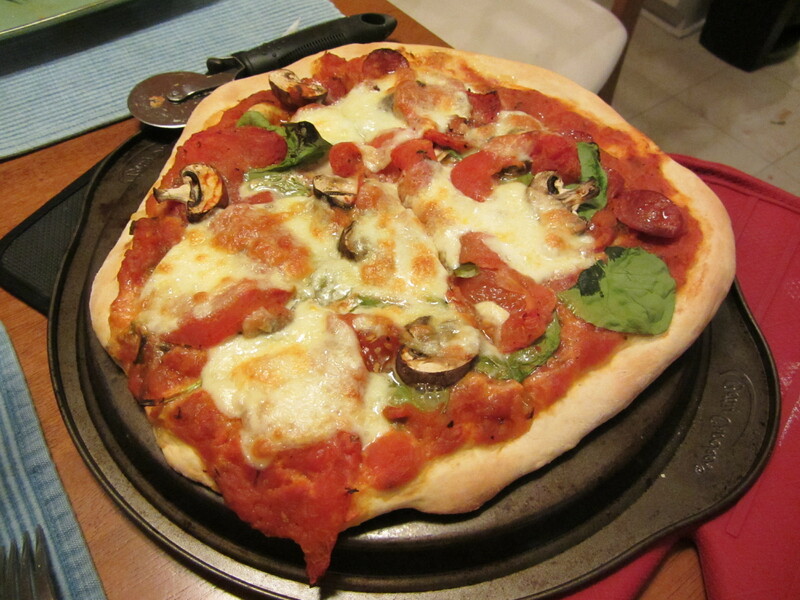 Our nice little pizza stone is recreating this method. To use it, it’s really easy, you just put the stone in your oven near the element and you start your oven and set it at 400F. Hence, the stone heats as the oven temperature rises up. Once the oven is ready, you put your pizza on it and cook it until it goldens! I tell you guys, if you are looking for a gift idea as a hostess gift, this is the gift to give, it’s so handy. The recipe requires time but I swear it’s worth it, my friends just loved it and I did too. 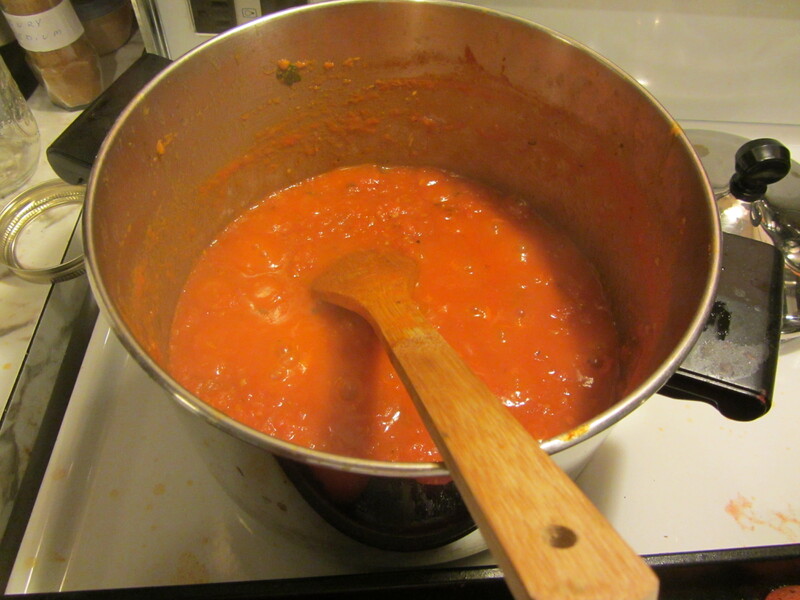 I must admit that doing the sauce from scratch is really awesome and you can taste the difference from the canned ones. 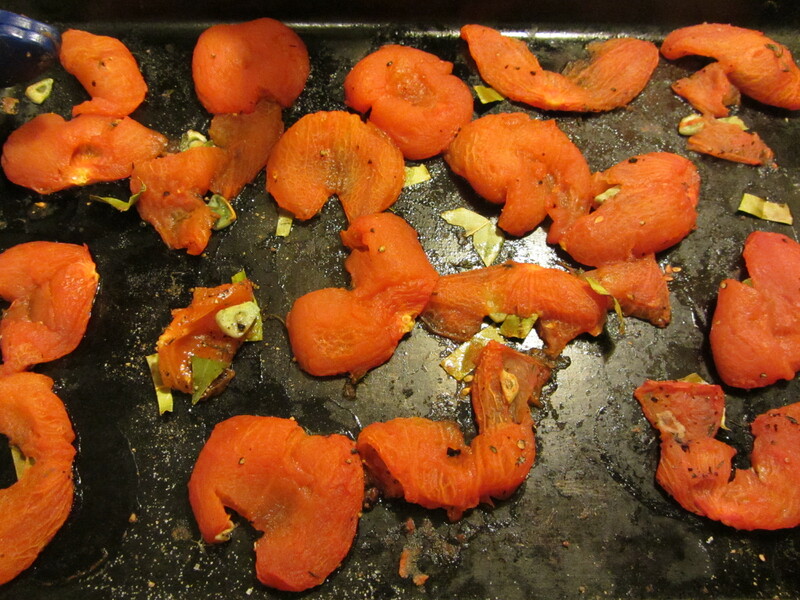 I know, it takes more time but you can easily do it in a presto or in a crockpot and reduce it on the stove. If you do it once, I tell you, you won’t go back to the canned version! You put tomatoes, onions, spices, garlic and you let time do all the magic. 24h before, prepare the dough that will rest longer and that will be added to the one the next day. Mix the water, the malt syrup and the flour in a mixing bowl. 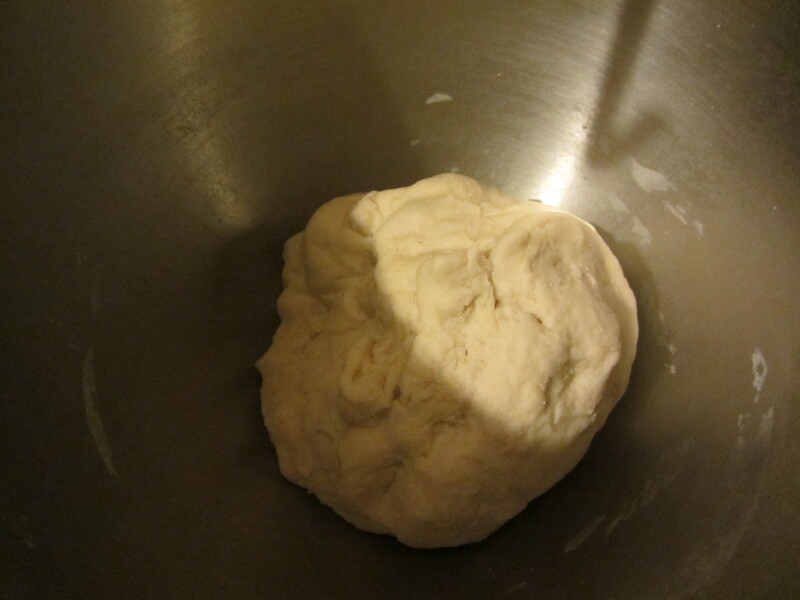 In a mixer, mix the dough for 4 minutes until you have a homogenous ball. If you don’t have a presty (like me) and that you have time, put the tomatoes directly in a pot and let it reduce 2-3 hours on medium heat. The sauce must be thick of it’ll make your crust soggy. 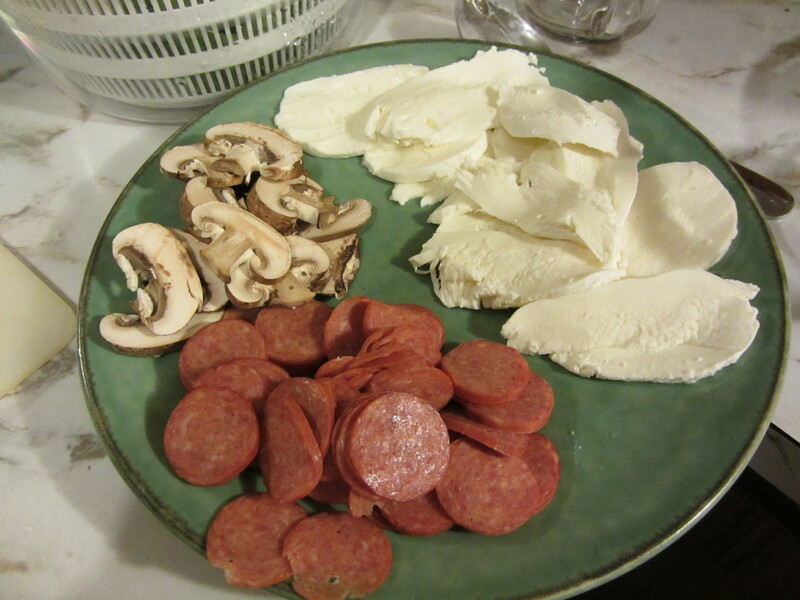 *I added pepperoni and mushrooms this time but true authentic Margherita pizza doesn’t have that. Enjoy and forget all the additives, unnecessary fat from restaurants or frozen pizzas. This one is made from scratch, from fresh ingredients and will make your guests taste buds long for more. Entertain kids and guests by involving them in putting the pizza together, make the sauce, take the skin of the tomatoes, etc.